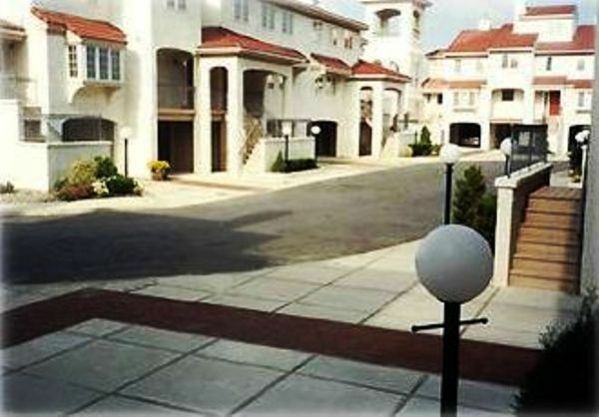 This spacious townhouse features WiFi, parking for two cars in garage. Front porch with comfortable chairs and tables, etc. The first floor includes kitchen, dinning/living room, laundry, powder room, closet, fireplace, and queen sized sofa bed, and a back deck with table, umbrella, and chairs. The second floor includes master bedroom with a queen-size bed, master bath with jacuzzi, large closet, and balcony. The second bedroom has a queen bed, large closet, and is adjacent to full-sized bathroom in hall. The third floor includes loft bedroom with two twin beds and large closet. Pets are Not allowed. No smoking in unit. Miniature golf, restaurants, playground are within walking distance. Victorian Cape May is only a five minute drive.